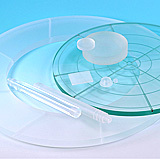 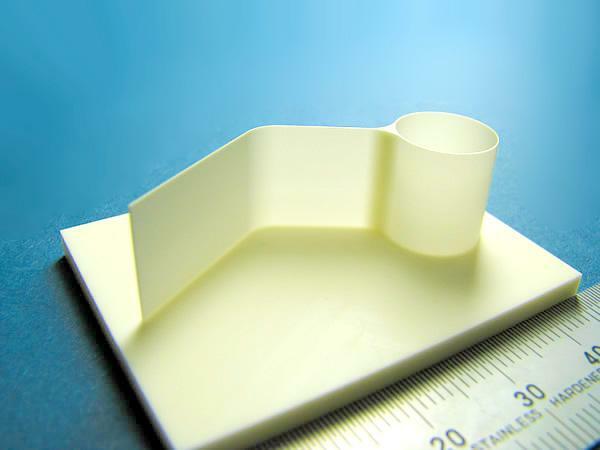 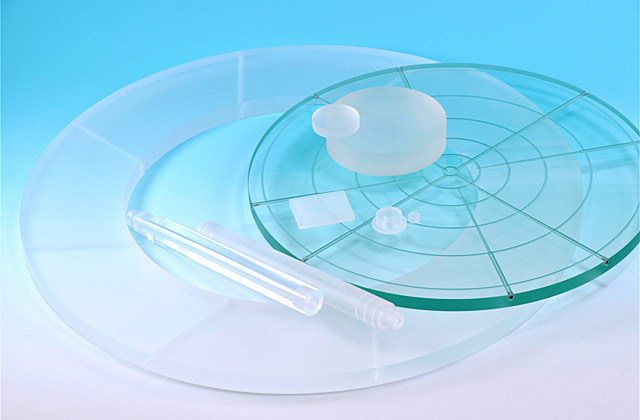 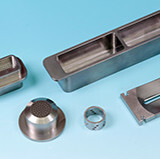 Shape processing |Precision Machining of Ceramics, Quartz, Tungsten & Molybdenum | Top Seiko Co,. 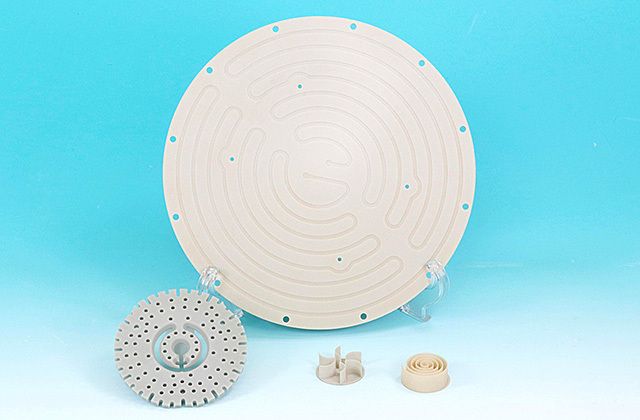 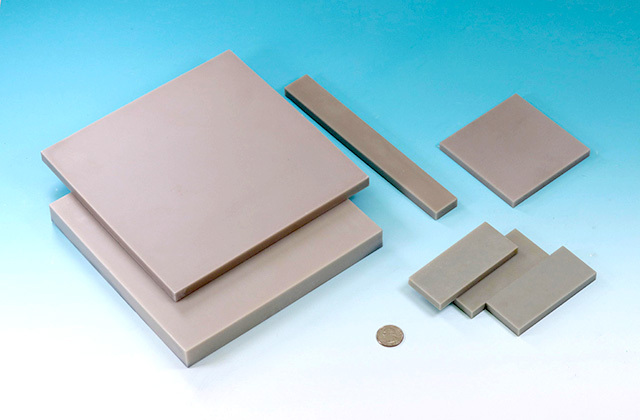 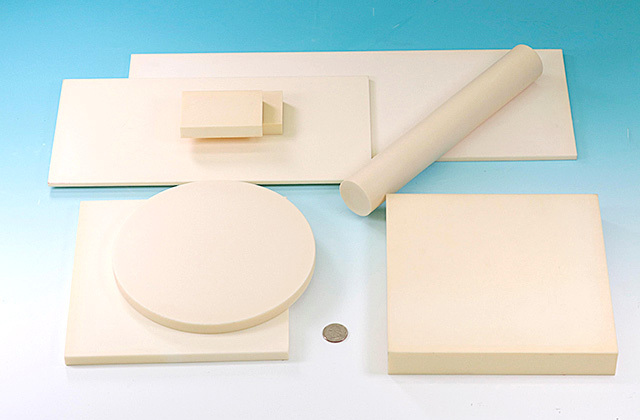 Ltd.
Part craved from alumina material block: 50×40×20t. 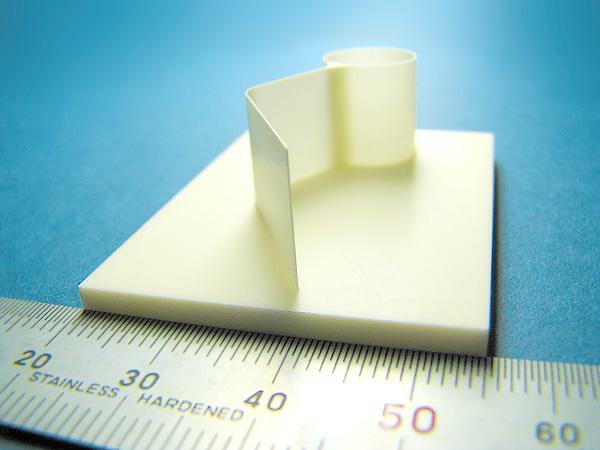 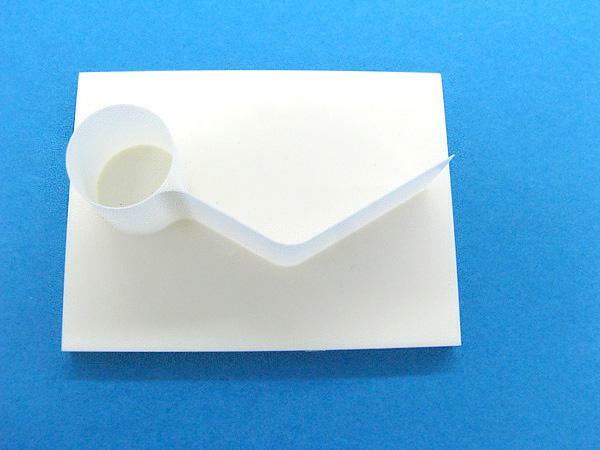 Wall Thickness:0.2 mm. 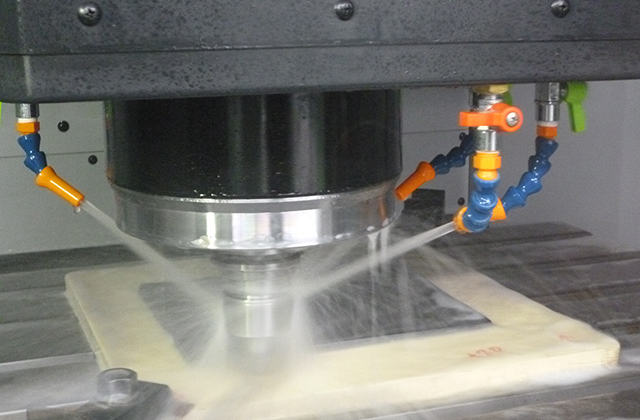 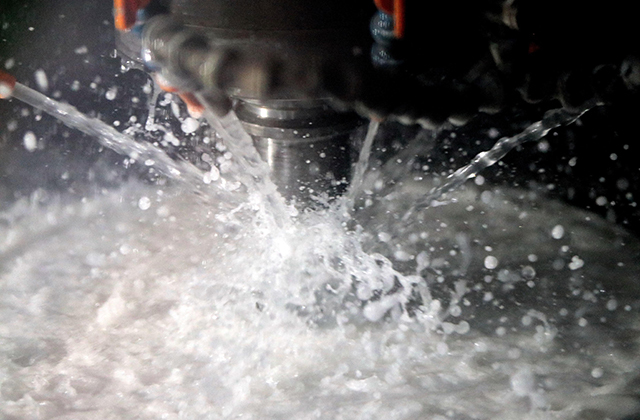 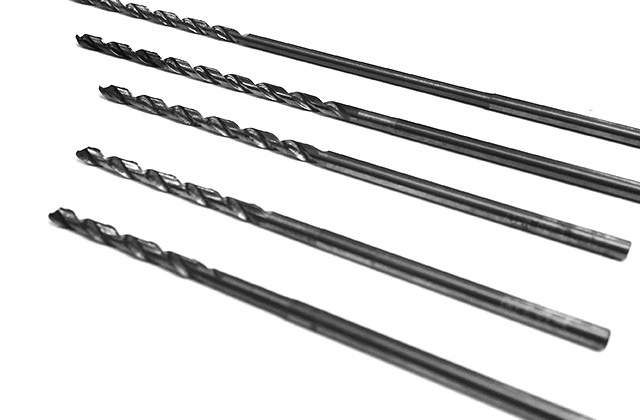 It is crucial that suitable cutting tools and machining conditions are chosen. 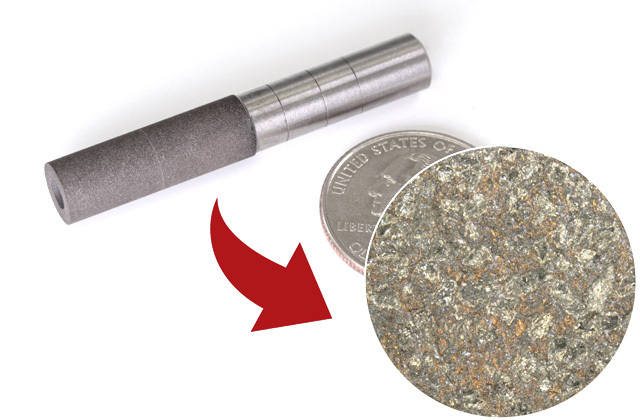 Tungsten is ultra-hard and is extremely difficult to machine. 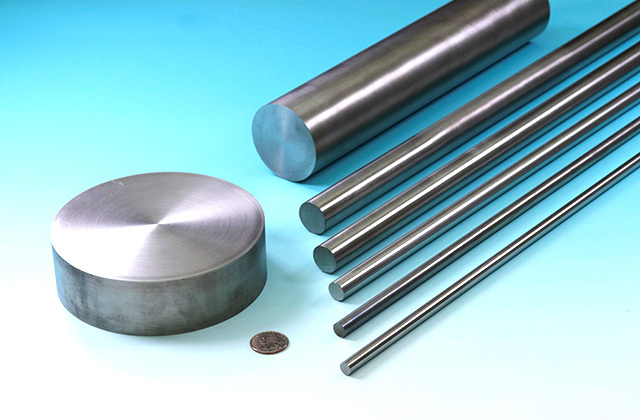 Tungsten is produced by sintering tungsten powder at even higher temperature than that of molybdenum. 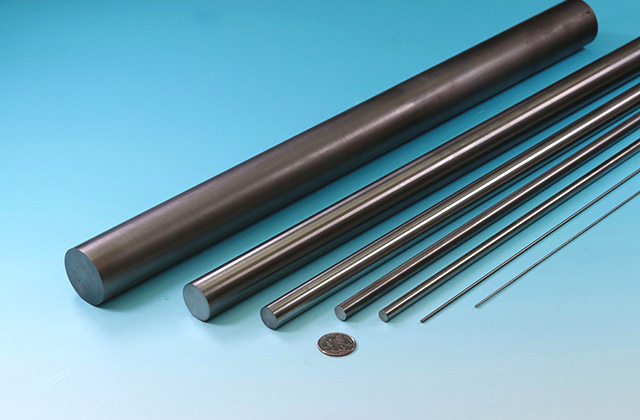 And then, like molybdenum, it goes through processes such as forging, rolling, and swaging. 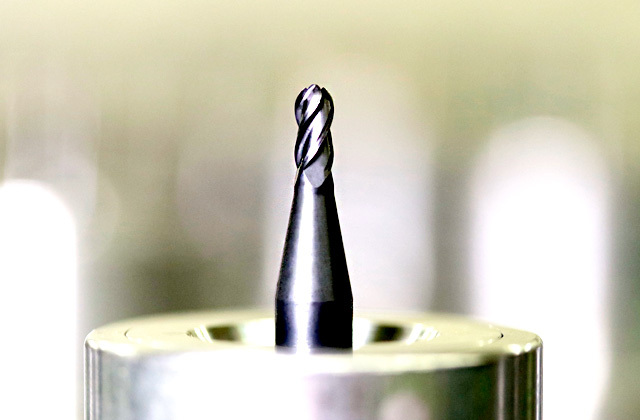 Since crystal grains of tungsten are much harder than that of molybdenum, milling it can rapidly wear the cutting edges of the tool. 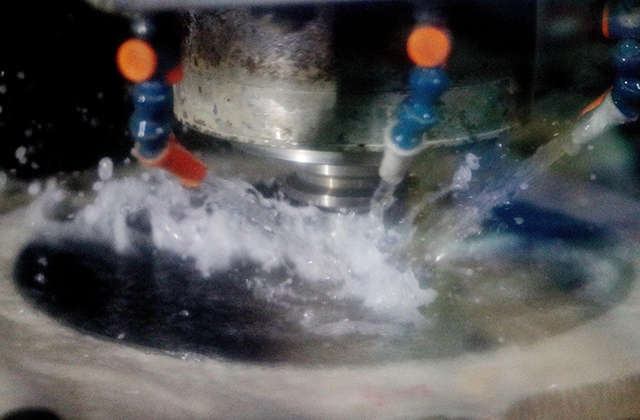 Even worse, tungsten is brittle and prone to cracking and breaking during machining operations. 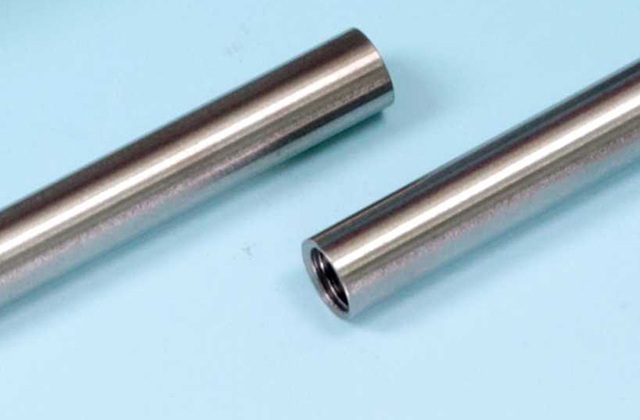 As mentioned above, tungsten is ultra-hard and is extremely difficult to machine. 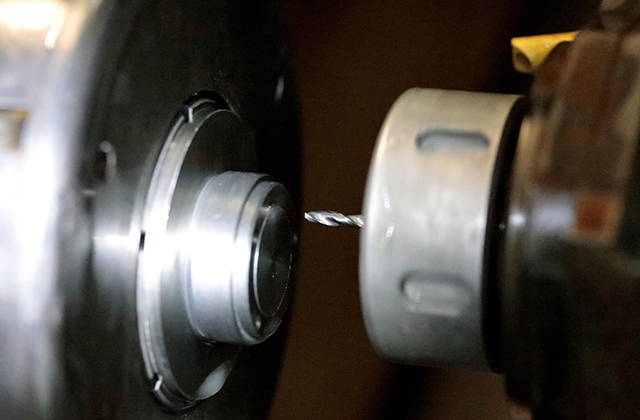 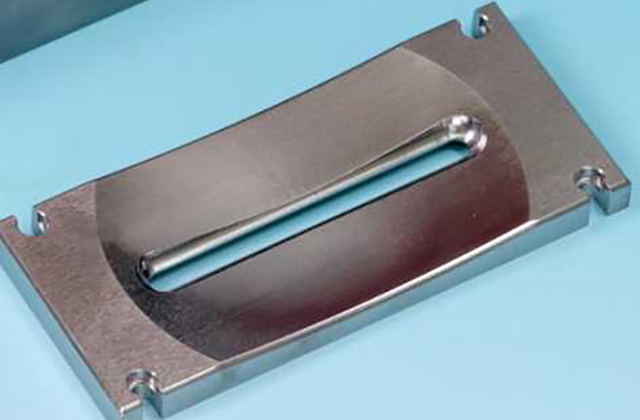 Some say heating it with a burner improves machinability, and others say machining it under below-zero temperature condition prevents damage to the cutting edges of a tool caused by heat. 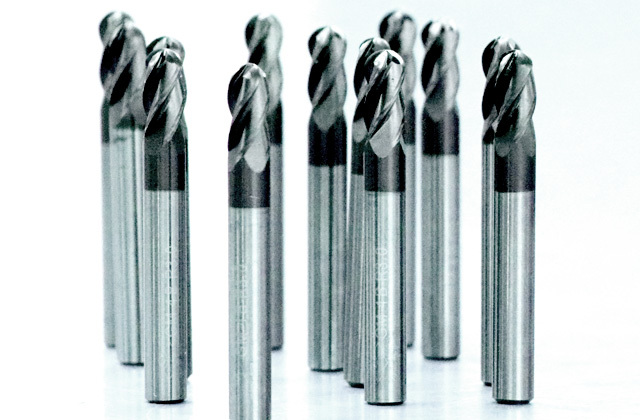 Nevertheless, we machine tungsten at room temperature. 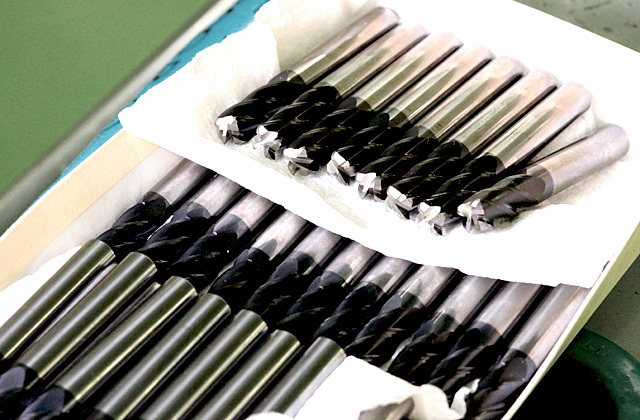 In order to machine tungsten, you need right cutting tools. 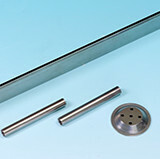 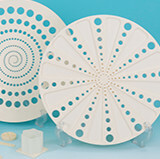 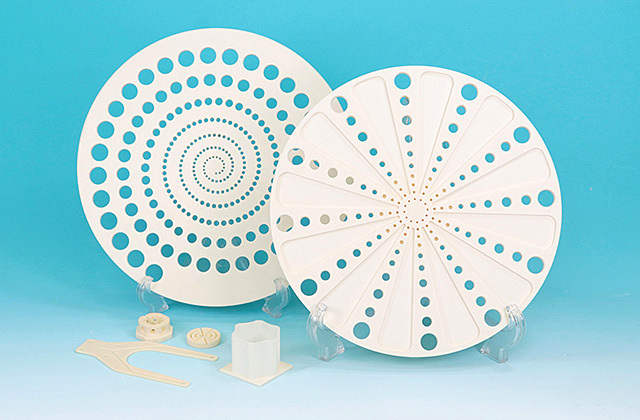 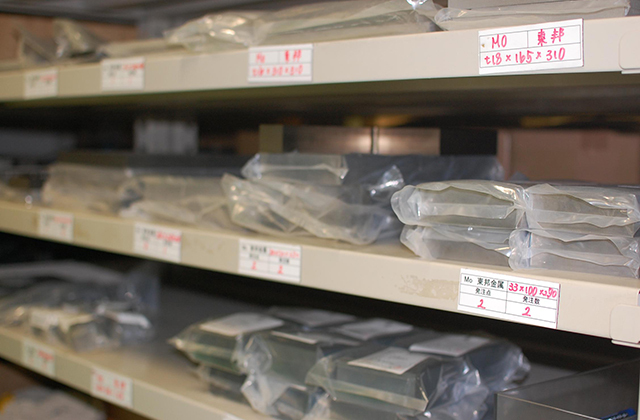 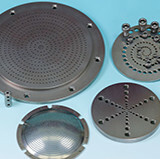 We have tried different tool materials such as diamond, CBN, and ceramics. 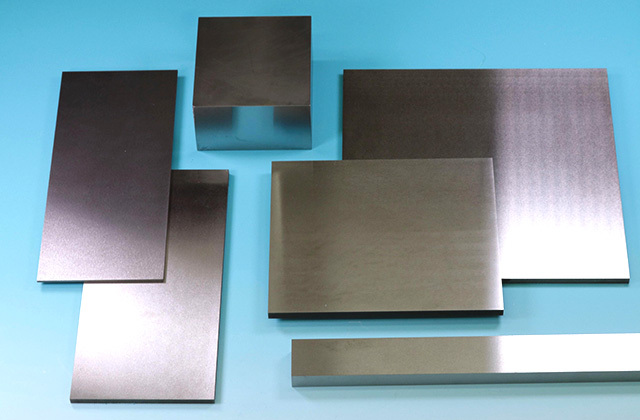 However none of them were as good as tungsten carbide in terms of durability and cost effectiveness. 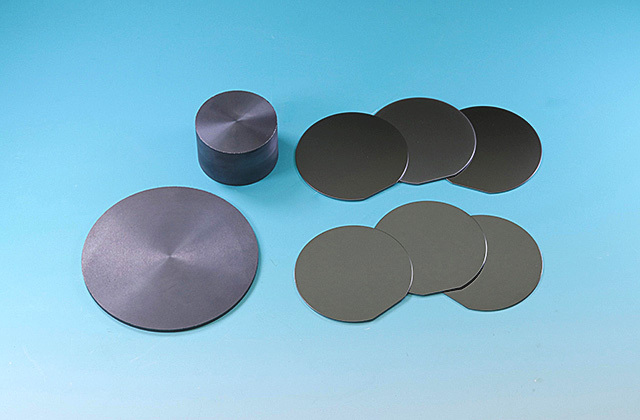 Among tungsten carbide, we choose the one with high hardness and toughness. 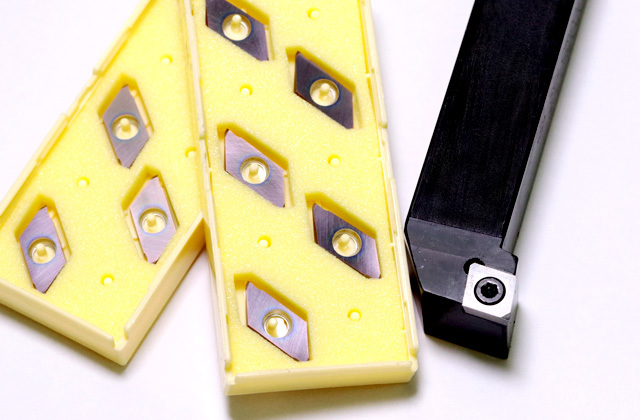 In addition, tools need sharp cutting edges to reduce cutting forces and prevent the workpiece from cracking or breaking. 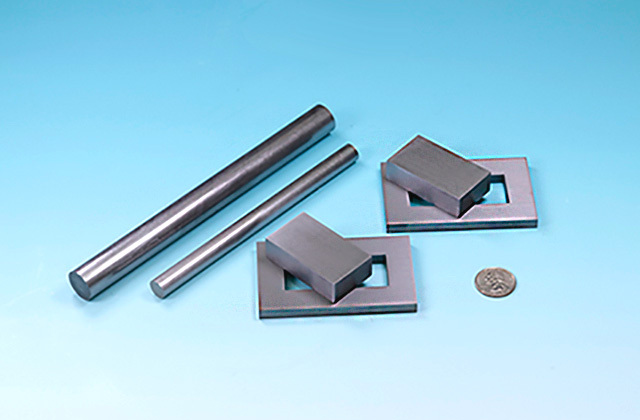 Since the cutting edges lose their sharpness rapidly when machining tungsten, it is also essential to employ tool geometry which provides efficient chip control. 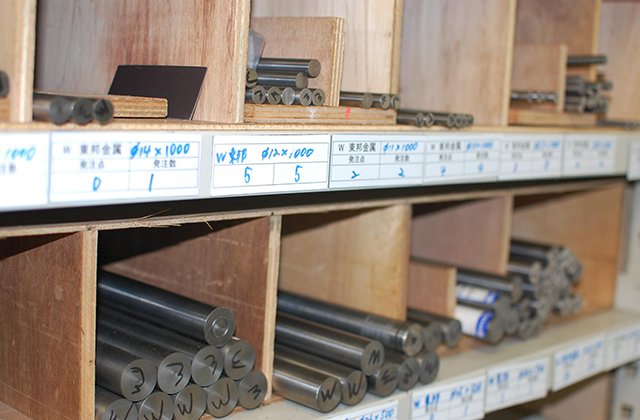 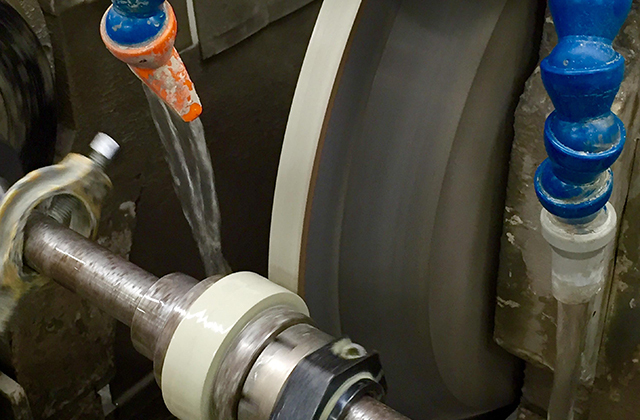 Moreover, we grind our tools in-house to maintain edge sharpness of the tools. 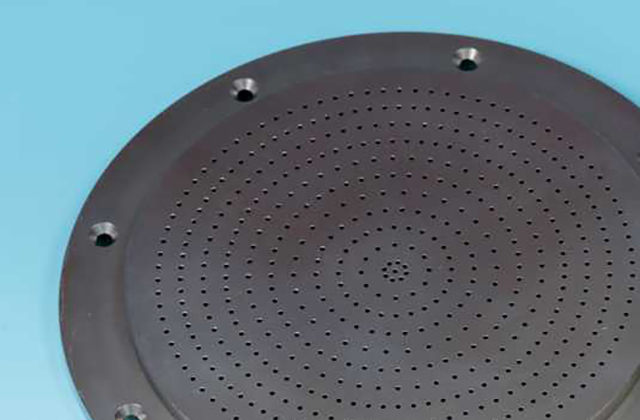 Since rapid cutting edge wear is inevitable, we machine tungsten quickly while the tool maintains its sharpness, and regrind the tool as soon as it loses its sharpness. 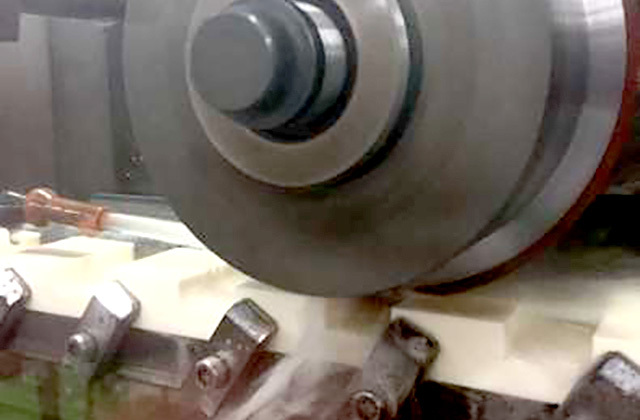 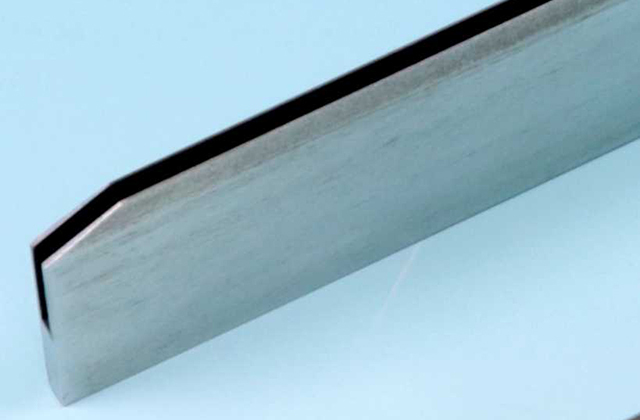 A dull tool causes cracking and chipping around the edges of the workpiece. 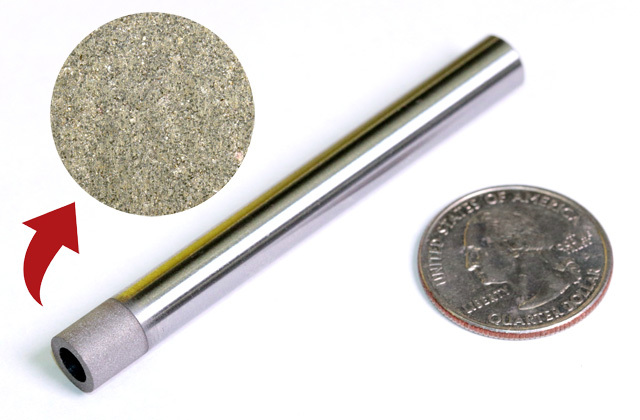 Sizes of crystal grain of tungsten vary depending on temperature and duration of manufacturing processes. 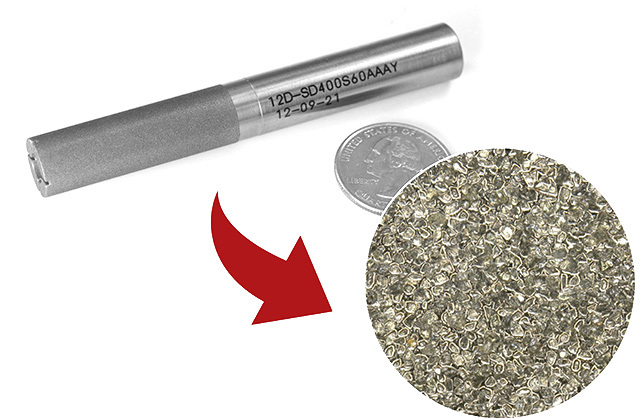 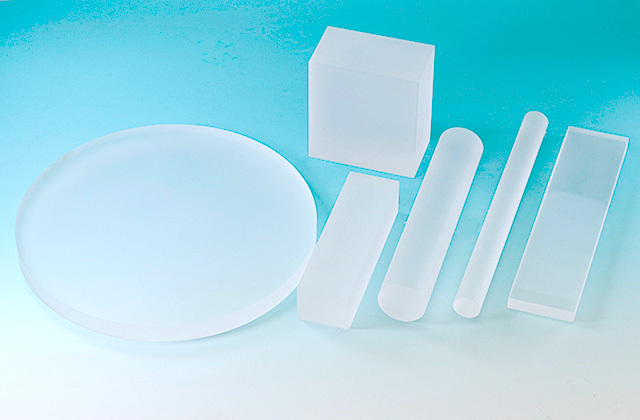 And crystal grain size affects the machinability of tungsten: larger the grain, worse the machinability. 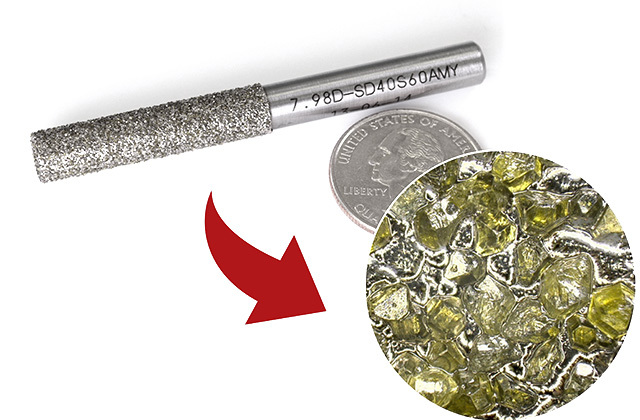 Since tungsten crystal grains grow larger by the progress of recrystallization, resulting in significantly worsened machinability, obtaining the material with heat history becomes even more important than when machining molybdenum. 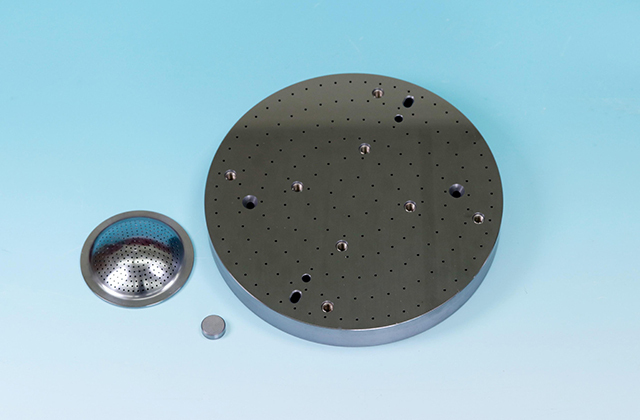 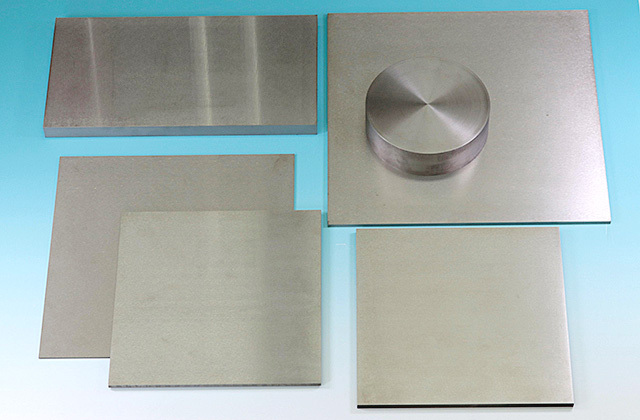 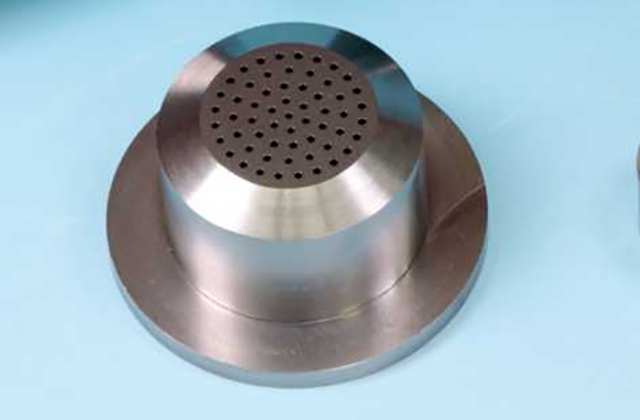 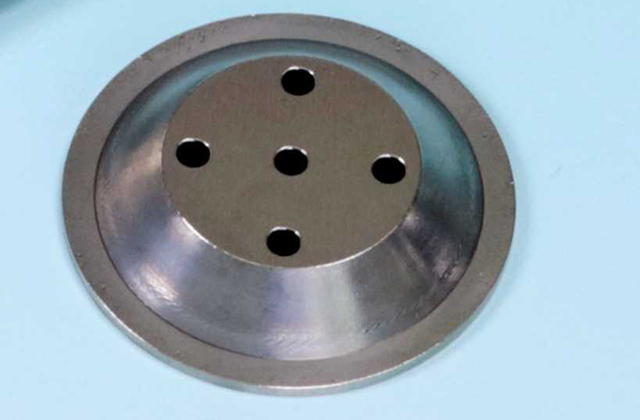 Since tungsten is a conductive metal, we also process it with EDM machines. 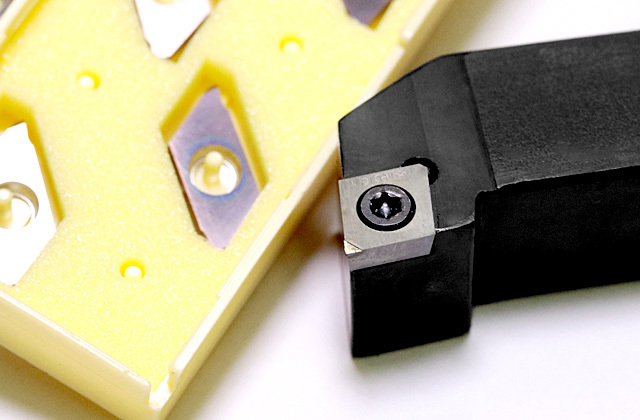 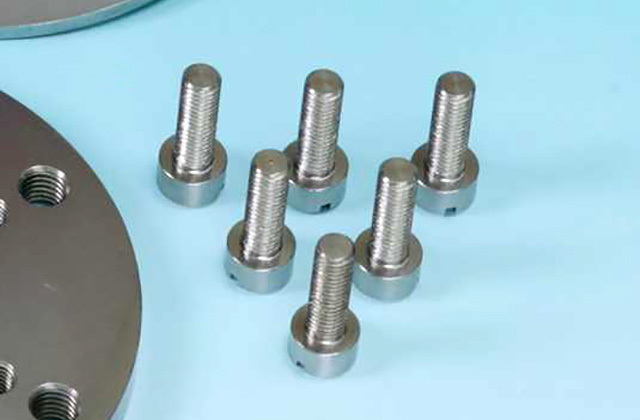 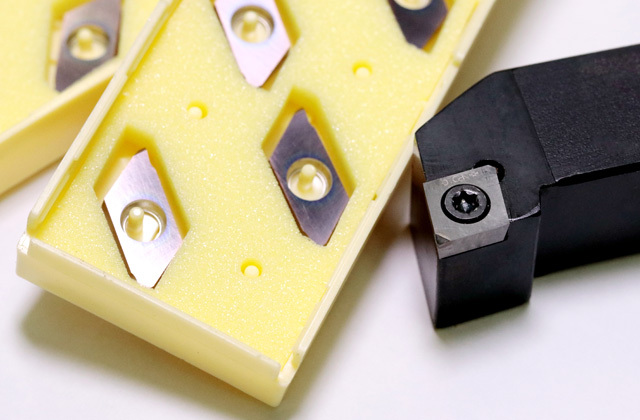 It is important to machine tantalum with tools which have sharp cutting edges to minimize cutting forces and heat generated during machining.